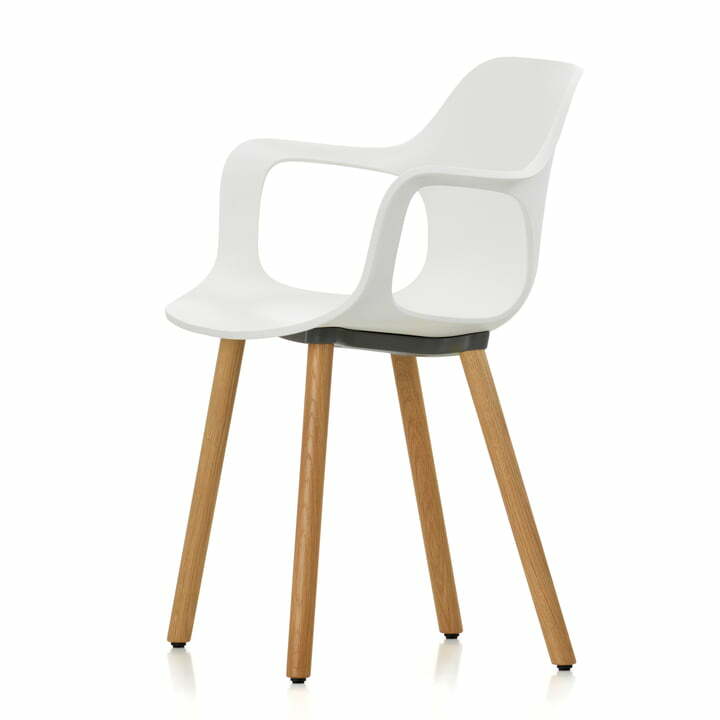 The Hal Wood Armchair was designed by the designer Jasper Morrison as part of the Hal Collection for Vitra. The modern shell chair has a wooden base made of oak or walnut and is multifunctional in use - at the Office, as well as in public or private places. With Hal, Jasper Morrison has reinvented the classic shell chair. 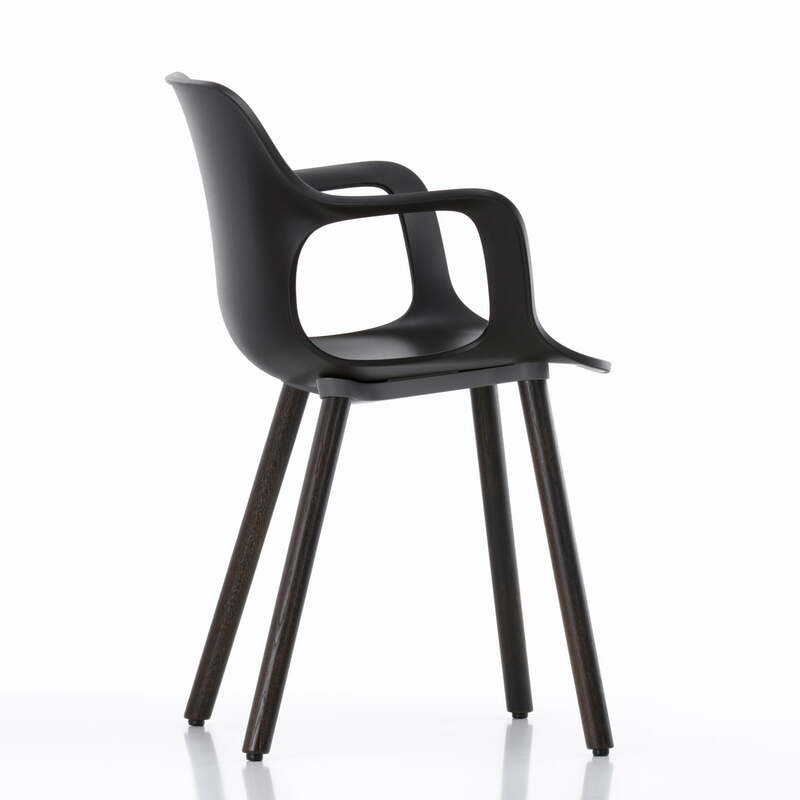 The result is a multifunctional chair with a clear, contemporary expression. The shape of the seat shell enables dynamism of movement, and the slightly flexible plastic allows different seating positions, while the armrests maximize the comfort. Like that Hal promotes dynamic, ergonomic sitting, while the chair’s armrests give pleasant support and maximise comfort. 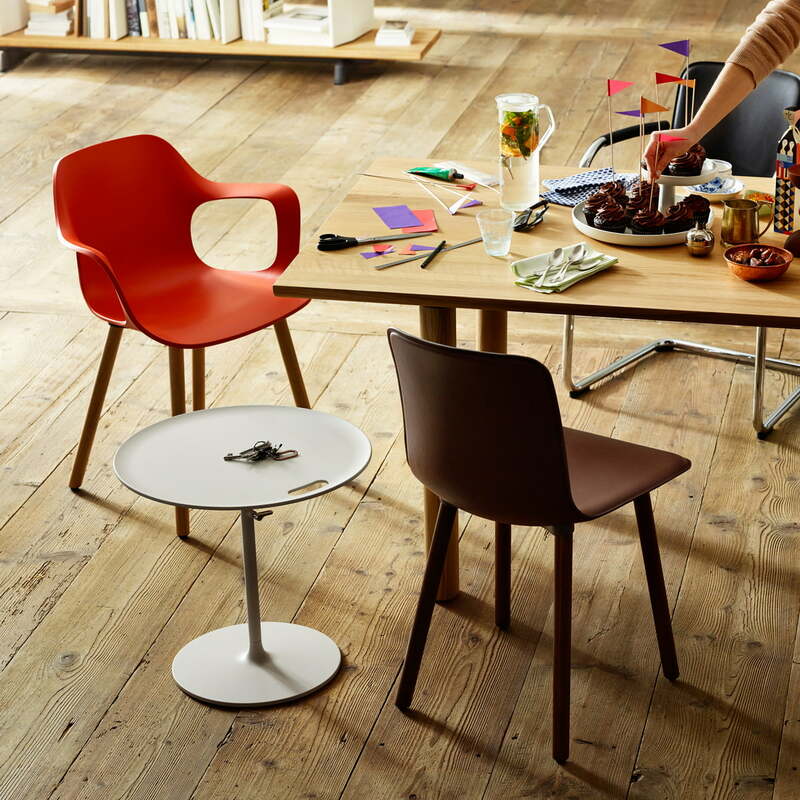 The base of the Hal wood Chair by Vitra is available in light and dark oak and walnut. 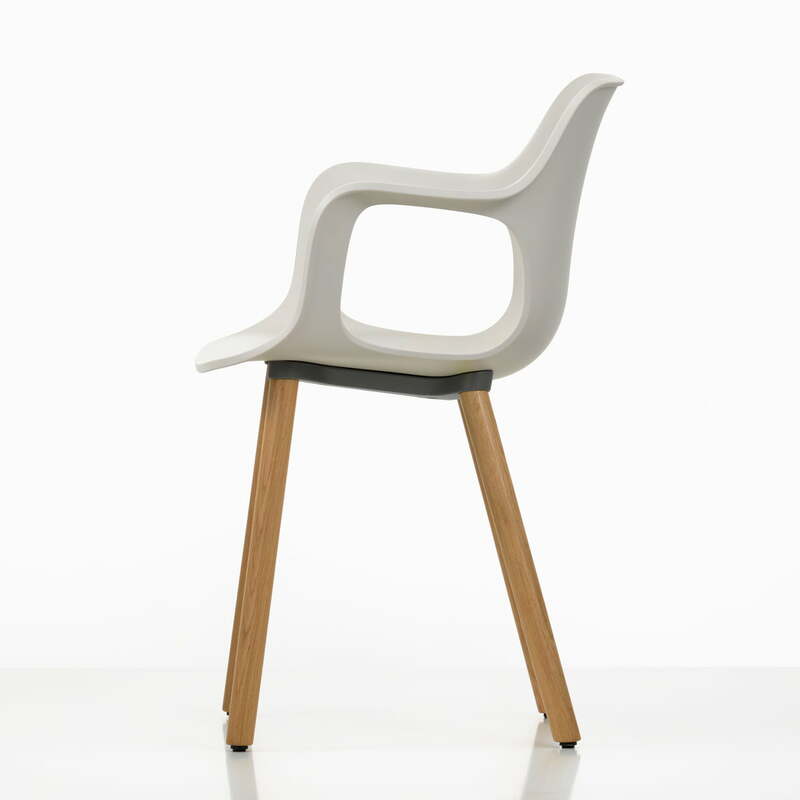 The different colours of the shell allow the integration of the chair into any room.